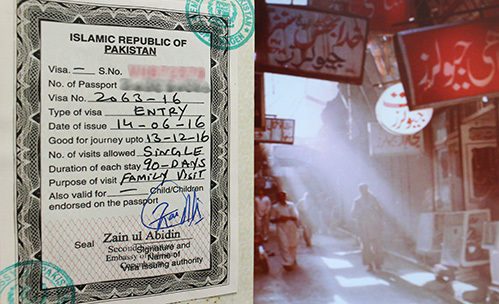 All Danish citizens must obtain a visa to Pakistan prior to entry in the country. We at Alt Rejser are ready to help you process your visa to Pakistan. So check out our services and do not hesitate to call us for further information. 2 colored passport photo. You can have your passport photo taken at Alt Rejser (150 kr). Send all the documents to Alt rejser, together with a følgebrev, or personally sumbit your documents in our office. 2 pieces colored passport photo. You can have your passport photo taken at Alt Rejser (150 kr). An invitation from a company in Pakistan. An introduction/cover letter from the Danish company that shortly describes the purpose of your travel, contact person, date of entry and departure as well as the travel itinerary. The letter must be stamped by appropriate authorities of the Danish Industry. We can arrange this document for your application (300 kr,- for DI members, 450,- if you are not a DI member). Send all the necessary documents to Alt Rejser, together with a følgebrev, or personally submityour documents in our office. All prices include all embassy fees and are applicable to Danish citizens only. All prices include Danish tax (moms). We will send your passport together with the corresponding visa, as soon as possible.